The rapidly growing/developing nation of China is edging the world to the precipice of unsustainable development and at the same time promoting the development and sales of electric and plug-in hybrid cars. 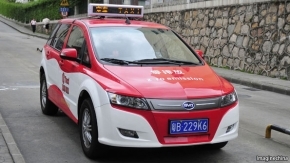 In order to promote this industry the Chinese Government is offering a sizable subsidy of nearly 10,000 USD per vehicle. This artificial lowering of the price coupled with the artificially high price per barrel of fuel in China is going to cause a boom in the sales and lead to a massive economy of scale in the manufacturing and sales of these tiny golf carts with doors. It’s no wonder that Warren “Big Bucks” Buffet is heavily investing in this market. This industry is going to take off like lightning even if the average Chinese driver only goes a snail’s pace of 25 mph city and 35 mph highway. According to the chart below, provided from the Economist, China and Europe will lead the world in the market for these highly efficient and O-Zone saving vehicles, while America will continue cowboy up to their F-150 (the bestselling car in America, despite the fact that it is a truck). This all makes perfect sense to me; since China is full of small people ( average height 5’6″ average weight 145 lbs) they want small cars and America is full of really big people ( height 5’9″ 191 lbs.) they want really big cars to haul around their fat asses. If you want more detailed information and analysis on this subject and less sarcastic punditry and racist anecdotes, you have come to the wrong place.